Insulated female bullet terminals are included for the rear turn signal pigtails. The Moto Guzzi workshop manuals clearly indicate the use of a yellow/black wire for the left turn signal circuit and a yellow wire for the right turn signal circuit. However, every civilian turn signal harness I've inspected has not used this color combination. 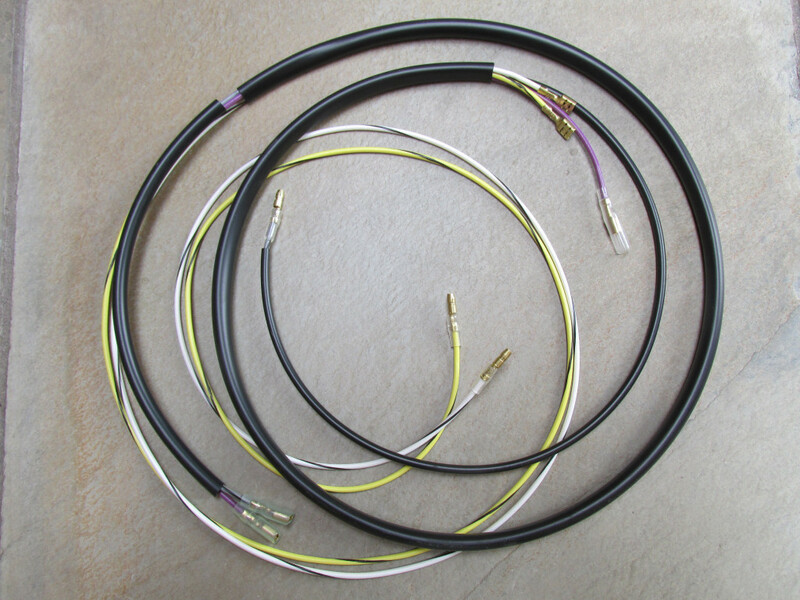 Instead, the harness for the right handlebar switch uses a yellow wire with a gray spiral tracer for the left turn signal circuit and a white wire with a gray spiral tracer for the right turn signal circuit. 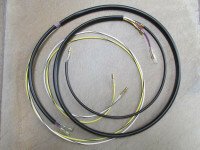 Furthermore, the turn signal harness uses a yellow wire with a black spiral tracer for the left turn signal circuit and a white wire with a black spiral tracer for the right turn signal circuit. I have chosen to use a yellow wire with a black spiral tracer and a white wire with a black spiral tracer throughout both the right handlebar switch harness and the turn signal harnesses.